Posted By:Unknown | At:12:00 PM Be the first to comment! Any opportunity to see Common on a regualr basis is really good news to me. So you know this is a show I am definitely anticipating. Love me some Common. Rapper-turned-actor Common is set for his first regular TV gig, landing a lead role in the AMC period drama pilot Hell on Wheels. Common has become the first actor cast in the Western, which centers on the building of the Transcontinental Railroad. He will play Elam, a freed slave who comes west seeking work on the railroad and his place in the world. As a half black, half white man he does not completely belong to either world. "Common brings a layered intensity to a very complex role," AMC's SVP programming Joel Stillerman said. "This part required someone who can transcend the stereotypes of the period and bring the character to life in a truly unique way, and he brings that." 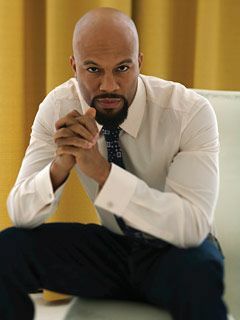 Grammy winner Common most recently starred in the movies Just Wright and Date Night. His feature credits also include American Gangster, Wanted and Terminator Salvation. Hell on Wheels was created and written by Joe and Tony Gayton and developed by Endemol USA. The Gaytons and Endemol USA's Jeremy Gold executive produce; Entertainment One's John Morayniss and Michael Rosenberg oversee production. David Von Ancken is directing the pilot, which is scheduled to begin production in August in Alberta, Canada.